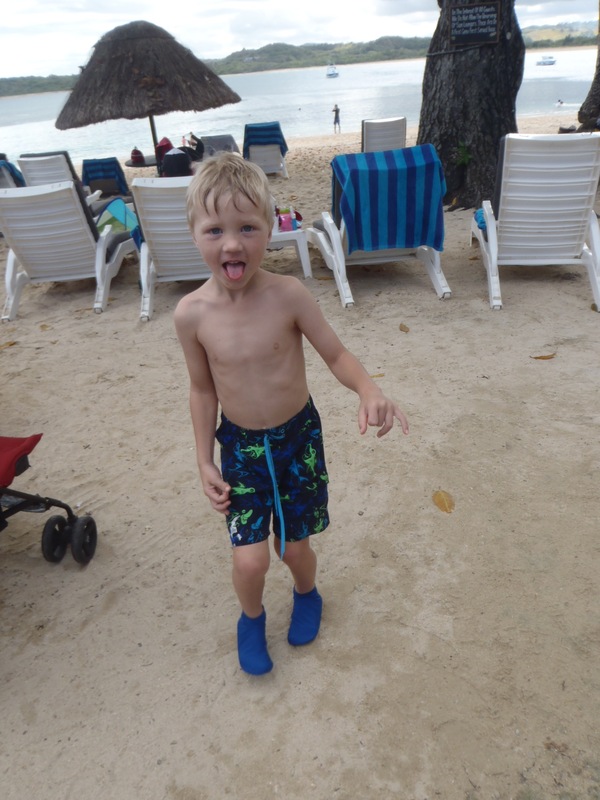 There are so many things we pack into a beach bag with two small children- towels, suncream, hats, sunglasses, change of clothes, bogey boards, swimming bubble for the little one, snorkelling gear for the big one, snacks; the list in inexhaustible. And still, last Summer as we hopped across the burning hot sand after our swim, overloaded with bags of beach paraphernalia, it occurred to me that something was missing. We had ‘stuff’ to cover every scenario, every beach going past time, every body part…except one. I watched my husband doing what can only be described as the Hot Sand Shuffle, tiptoeing masterfully across what I imagine felt like boiling lava beneath his feat, balancing two boards, an over sized beach bag and a rapidly melting Calippo in his hands. A metre or so away, my son began to scream as the full hot sand sensation hit his tiny feet and without hesitation his father turned around, swept him off the ground and into a shoulder ride, stuck a Calippo in his mouth, (it definitely stopped the crying), and continued his shuffle over to the safety of the grass. No Hot Sand Shuffle Today! I watched this from the relative comfort of my towel as I gathered the rest of our belongings and younger and more sensitive daughter, preparing for the same dance. It occurred to me that there must be a better way. Thankfully, there is, and I am glad I found it before our trip to Fiji last month. Sun Sox are an Aussie developed product made from UPF 50+ material that stretches and moulds to kids’ feet. They offer great heat and sun protection and are comfortable too. The Sox feature neoprene non-slip soles, so the kids are protected not only from the Hot Sand Shuffle, but also from little accidents around the pool as well. In Fiji, where the snorkelling is supreme, the Sox prevented scratches from stepping on shells or coral in the water, and they also had protection from dead coral pieces in the sand and sea grass on the shoreline. Sun Sox are affordably priced and come in both blueberry and periwinkle shades. The Sox took part of the stress out of being at the beach; we avoided the Hot Sand Shuffle and protected the kids’ feet. Since our trip to Fiji, our overloaded beach bag will have one small extra item in it for each child. Sun Sox are the most valuable addition yet. For more information or to purchase Sun Sox, click here.